Mattison Boveri of Lake Bluff likes to joke that she was reborn in Thailand. “I was a baby at 17 years old,” she says, explaining how during her recent youth exchange experience, she had to learn to do everything in the Thai way—how to speak, how to eat her food, and how to dress herself. And like any “toddler,” she made a few mistakes. Once, she says she accidentally put on her school uniform skirt backwards, thoroughly confusing her host mother. 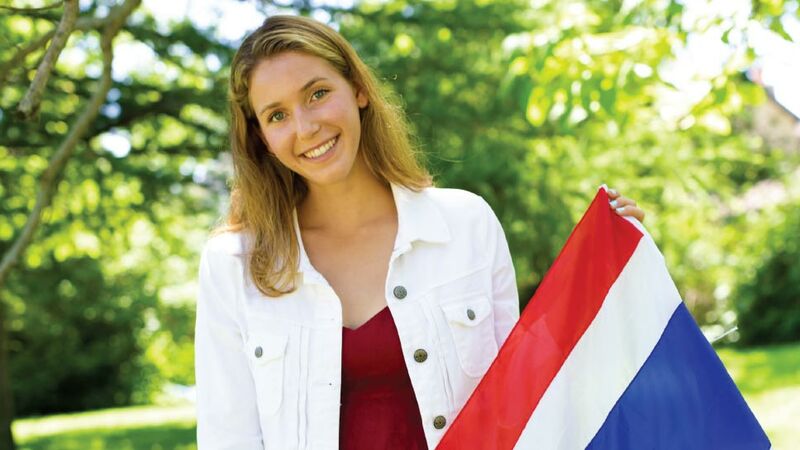 This opportunity to spend her junior year in Thailand was the result of her acceptance into the Kennedy-Lugar Youth Exchange and Study Program, otherwise known as YES Abroad. This U.S. State Department program accepts 65 high school students each year and sends them to one of 13 countries around the world with significant Muslim populations. Students are expected to promote mutual understanding between the U.S. and their host country by forming relationships with the local community. Boveri lived with a host family, attended a local high school where every class was in Thai, and engaged in activities to learn about Thai society and values. She also helped educate her community about American society and values. In return, the State Department footed the bill, paying for everything from flights to food expenses. It was an adventure, one that required many life adjustments. She slept on a straw mat, became almost fluent in Thai (one of the most difficult languages in the world), and ate more than her fair share of tropical fruit. It was “beyond influential”, Boveri says. Besides immersing herself in another culture and learning a completely new language, she became a strong self-advocate—even when she wasn’t quite sure what the right words were—and learned to say an emphatic “Yes!” to whatever surprises the days brought. After all, a year in Thailand isn’t all coconuts and white sand beaches. As Boveri prepares to enter her senior year at Lake Forest High School, she admits that it’s bittersweet to be home after such a grand adventure. And how could it not be? While returning to air conditioning and English speaking has been somewhat of a relief, leaving Thai friends, school, and her new family behind was strange for Boveri. “It feels like I left home to go home,” she says. Now that her bags are unpacked, she’s looking to the future and taking the lessons she learned with her. The fall will see her as varsity captain of the swim team, and tackling college applications. Interestingly enough, Boveri doesn’t want to study international relations or work in foreign service like the majority of other participants in YES Abroad. Instead, she’s thinking of going into chemical engineering.